"Hammeer Garhi Heritage Resort is set at a pleasant location in Madhya Pradesh. Settled close to Khajuraho, the 350 year old resort is great stop for Orchha and other attractive places in the region. The heritage property is set at the backdrop of Basari. The old world charm, picturesque set up of three lakes, forests and hillocks, adds to the appeal of the resort. Experience the feel of India's history, culture in its truest essence. The accommodation, dining options and cultural activities makes your stay a pleasant one. The Hammeer Garhi Heritage Resort gets its name from ‘Hameer Dev who was one of the commanders of medieval King Chhatrasaal who had driven the Mughal empire from India. Built 350 years ago, this property now boasts of spacious rooms and all sorts of in-room as well as hotel facilities. There are 2 restaurants, a lounge and a bar for guests. 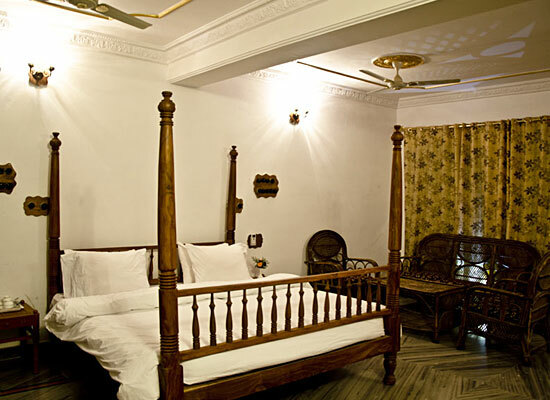 Arya Hammeer Garhi Heritage Resort has 20 aesthetically decorated rooms filled with all kinds of comforts. The rooms are a perfect mix of traditional interior along with all the modern-day amenities. 15 more rooms will be added by July 2013. 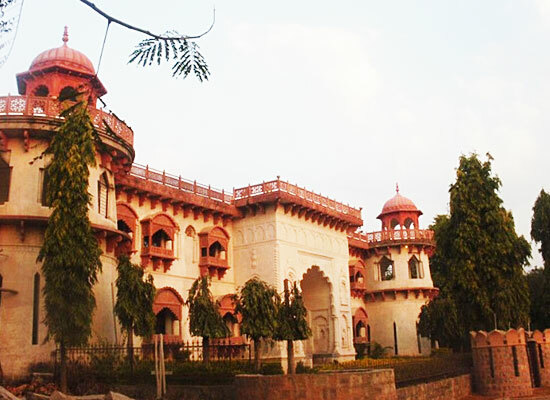 Most of the rooms have independent balconies or a Jharokha, an overhanging pavilion. You can enjoy every moment of your stay, amidst all kinds of luxuries such as comfortable beds, plush spacious bathrooms, Split AC, WI-fi connectivity, LCD TV, tea/coffee maker, telephone, In-room dining round the clock and more. During your stay at the Resort, you can have an excellent dining experience at the two restaurants and a breakfast lounge. 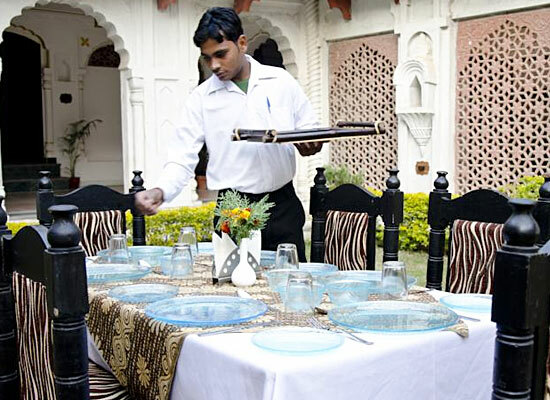 Byaari– Enjoy an assortment of multi-cuisine food items, in a restaurant built in Rajput architecture style of architecture. 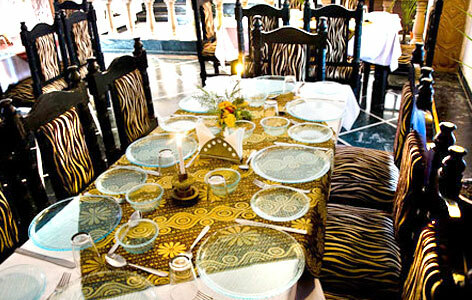 Kalewa– Located on the first floor, in this a semi-open lounge, enjoy evening performances. A sumptuous spread during breakfast is served here. It is also a recreation lounge with a small library and indoor games. Jal Mahal– Located on the third floor, within lower lake, built in Rajput style, this restaurant serves Chinese and Indian cuisine. Mahua- At this well-stocked bar, you can get the finest of both Indian and international brands. Garden – “Ashok Vatika”, etc.